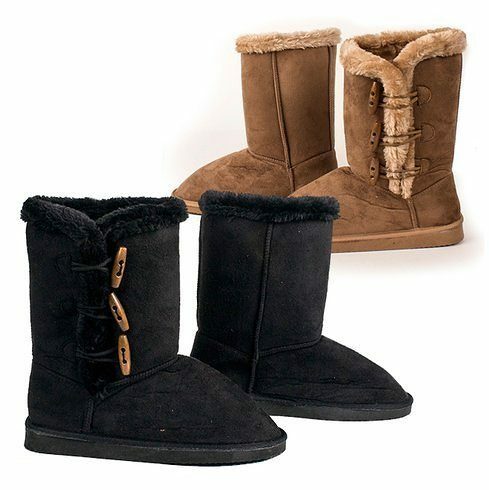 Women's Australian Style Boots w/ Side Toggle Only $19.99 Plus FREE Shipping! You are here: Home / Great Deals / Women’s Australian Style Boots w/ Side Toggle Only $19.99 Plus FREE Shipping! Women’s Australian Style Boots w/ Side Toggle Only $19.99 Plus FREE Shipping! Need to warm up your feet? Get style and comfort combined in these faux fur lined boots. These Women’s Australian Style Boots w/ Side Toggle for Only $19.99 Plus FREE Shipping are the cure for the winter blues!